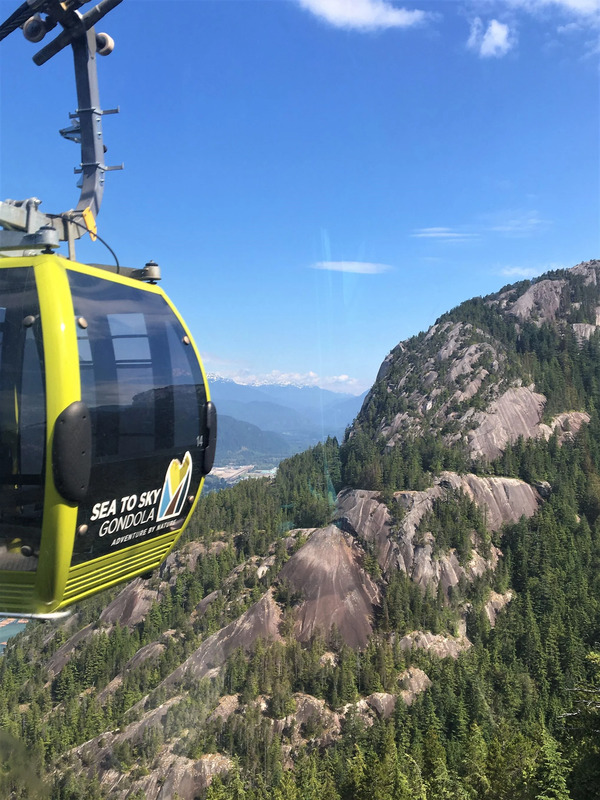 During the Canada day weekend in July me and Mike went up to visit our friends in Vancouver and one of the things we decided to do was the Sea to Sky Gondola. 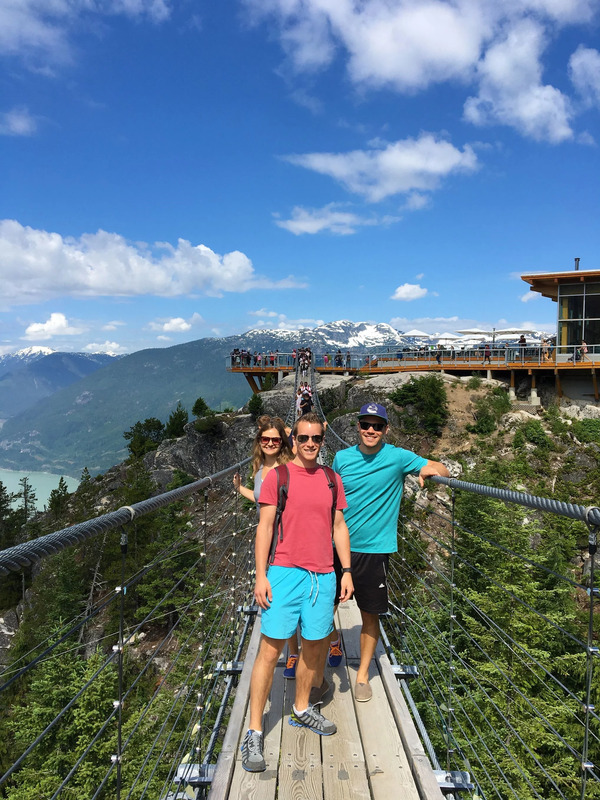 We drove up towards Squamish on highway 99 and right before the Stawamus Cheif was the parking lot entrance to the gondola. 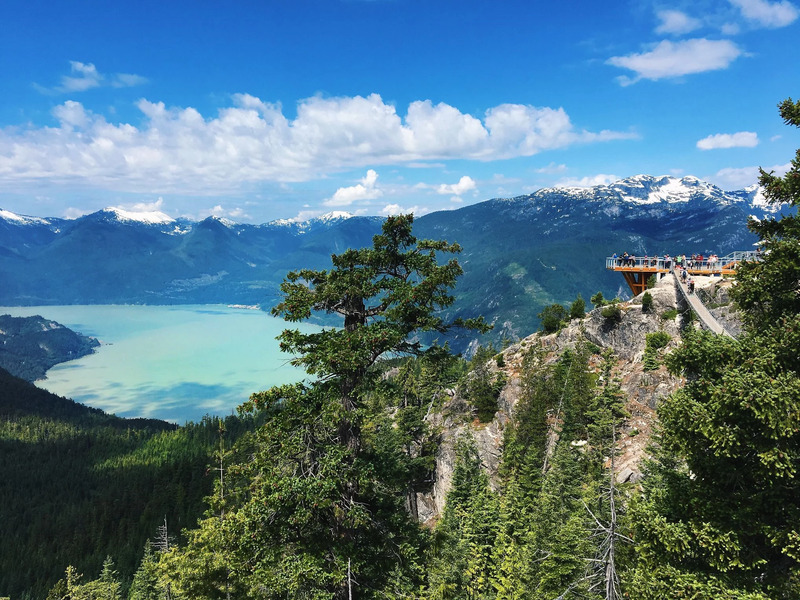 The ride starts at sealevel and within about 10 minutes you're up at the summit lodge at 885 meter, and like if the views during the ride wasn't pretty enough once at the lodge you could walk around a huge deck and get a sweeping view of the valley and the Howe sound. 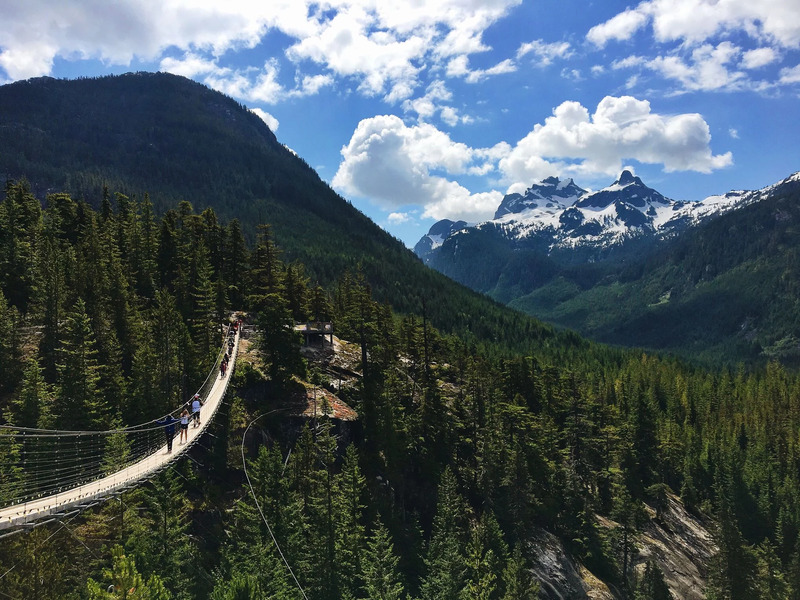 From the lodge platform we walked over the Sky Pilot Suspention Bridge to get to Sky Pilot viewpoint, there we stopped for some pictures and kept going on a little loop trail. We then ended up in front of the lifts again which was like a centerpoint, with a playground and a foodtruck (no idea how they got it up there!). 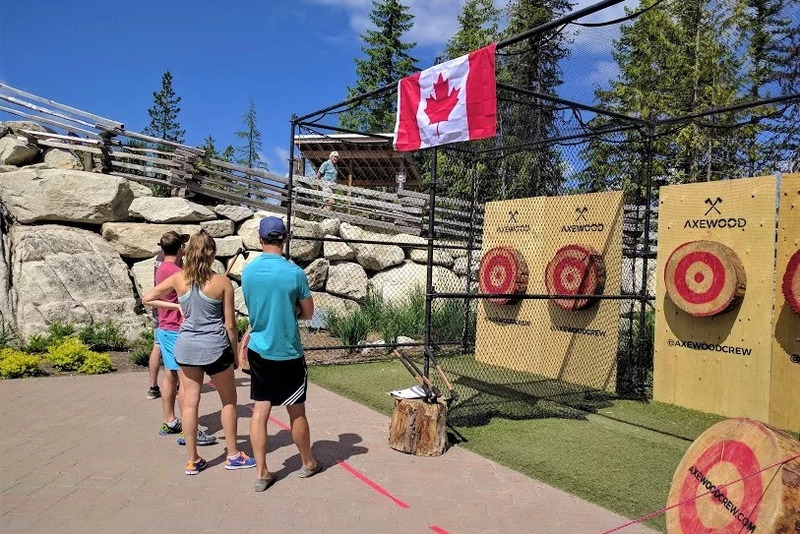 As part of their summer activities they had an axe throwing station and the guys obviously had to try it haha, and Cynthia too, I was the only one who didn't want to but I didn't mind at all cause then I got to be the photographer and to be honest it looked really hard! 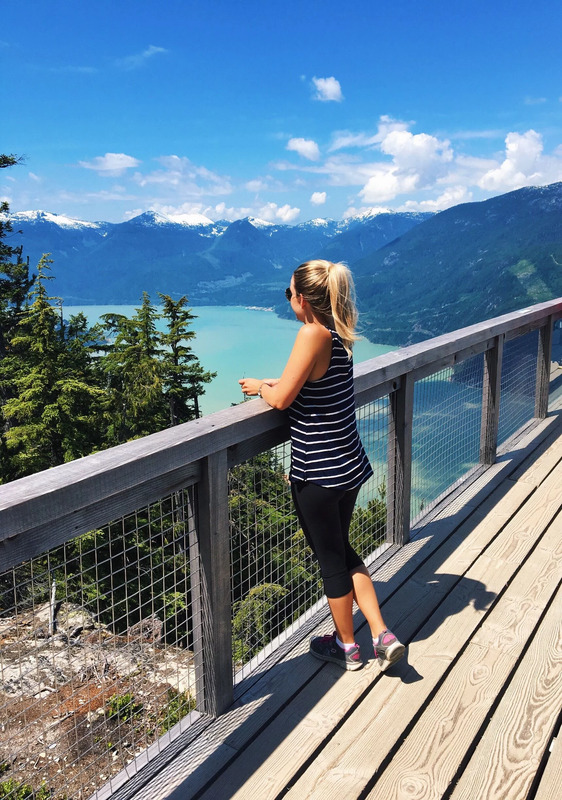 There are many trails to explore up at the summit and we decided to try the Panorama Trail, a 1.6km loop trail. 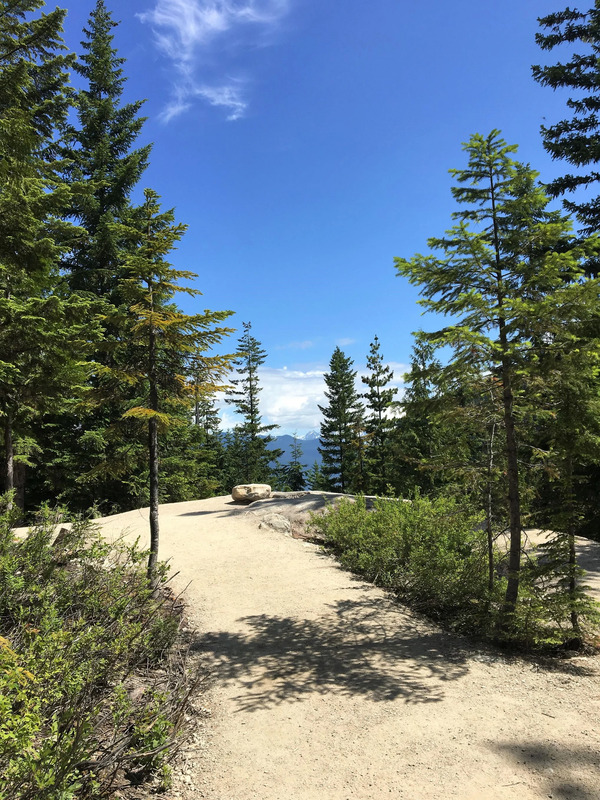 And for being on top of a mountain it was a very easy and nice trail that you can easliy do with kids or without workout gear. 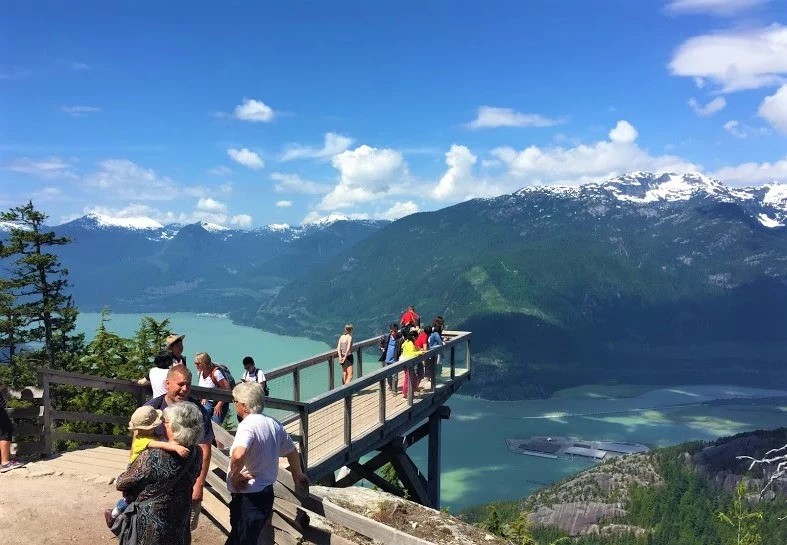 I would highly recommend doing this trail and it is especially worth it once you get to the Cheif overlooking platform that has amazing views of the Howe sound, the Squamish spit and of course as the name apply, great views of the Stawamus Cheif! 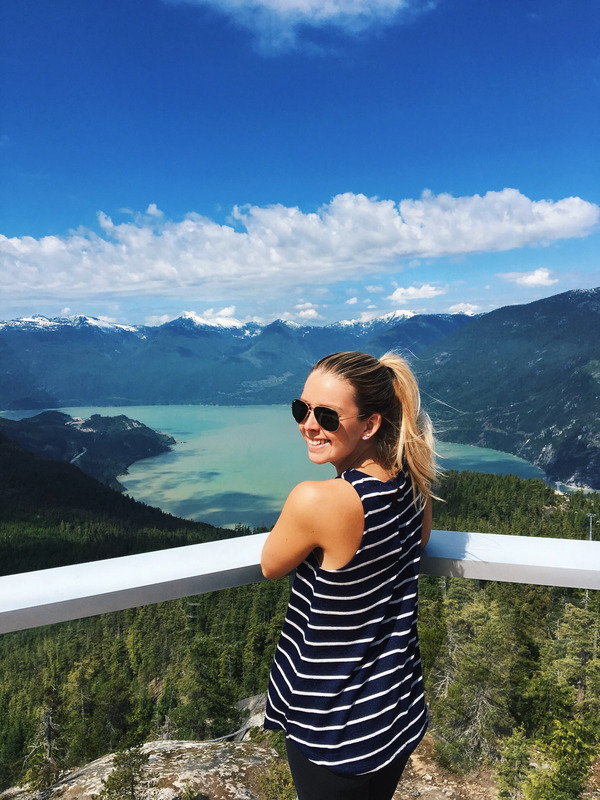 This experience was well worth the money and I would gladly go back anytime!